Directory Specialty Coating Systems Inc. Specialty Coating Systems is the global leader in delivering innovative Parylene coating solutions - from application engineering and process design to high performance materials and responsive coating services. 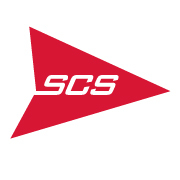 As a direct descendent of the companies that originally developed Parylene, SCS has over 45 years of coating and application experience we leverage on every project for our customers. 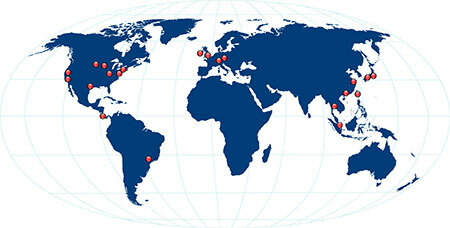 Our worldwide resources include highly experienced sales engineers, some of the world’s foremost Parylene specialists and expert manufacturing personnel, working in state-of-the-art coating facilities around the globe. SCS’ extensive and proactive approach to production and quality requirements—testing, validating, documenting and processing—provides our customers peace of mind and minimizes their resources needed to meet the most challenging medical industry specifications and quality requirements. 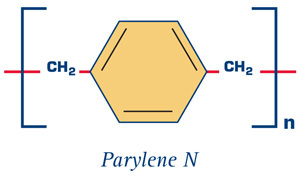 Parylene is the name for members of a unique polymer series, called poly(para-xylylene), a completely linear, highly crystalline material. Several variants of Parylene are available, each offering slightly different coating properties to engineers. Parylene coatings are applied at ambient temperatures with specialized vacuum deposition equipment. Since the deposition takes place at the molecular level, the film can be applied in infinitely-controllable thicknesses from hundreds of angstroms to several mils without bridging or pooling. This ultra-thin, pinhole-free conformal coating provides beneficial properties to the medical device industry including: biocompatibility, biostability, excellent moisture, chemical and dielectric barrier properties, thermal and UV stability, dry-film lubricity, and excellent crevice and multi-layer penetration. Parylene can meet a wide range of medical coating applications, including stents, cardiac assist devices, electrosurgical tools, cochlear and ocular implants, mandrels and molds, catheters, elastomeric seals, needles and epidural probes, and medical electronics, to name only a few. Parylene has the ability to modify substrates for both short-term and long-term use and thereby satisfies one or more medical performance requirements. It can also render coated surfaces biocompatible. In addition, the coating is essentially unaffected by corrosive body tissues and fluids, as well as various solvents and chemicals that might be encountered in use. Dielectric protection is another Parylene surface modification feature. The film has an electrical insulation value of approximately 5,000 volts at one mil of thickness, and it can be applied to isolate electrical conductors - either selectively or overall - without appreciably changing device dimensions. With its low static and dynamic coefficients of friction, Parylene adds useful surface lubricity or slipperiness to medical objects. This function is particularly useful for items such as catheters, prefilled syringes and other objects that must move against opposing surfaces. A thin coating of Parylene is able to immobilize microparticles on surfaces that are prone to flaking. For porous substrates Parylene will consolidate similar particulate matter that might reside in the surface structure. The coating also mechanically stabilizes delicate structures, thereby supplementing physical strength without adding significant mass or changing structural profiles. Finally, Parylene film can be used to create an intimal surface that promotes tissue growth in a manner that is useful for certain surgical applications. Parylene is a sophisticated, high performance solution that meets many medical coating requirements, and provides results that often cannot be achieved with alternate materials and processes. In addition to Parylene coating services, SCS designs and manufactures industry-leading liquid conformal coating, dispensing, potting, dip and spin coating systems; ionic contamination test systems; and UV and thermal cure units. Our equipment is used in environments that range from university and research labs to high-volume production applications. SCS customers benefit from technology that delivers unmatched accuracy and reliability. 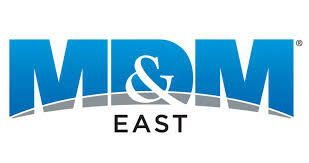 For more information contact Specialty Coating Systems Inc. CONTACT SPECIALTY COATING SYSTEMS INC.